Are you dealing with a clogged sewer? Do you need immediate heating repair in Chatham, NJ? Are you looking for a new AC installation? When dealing with these situations, you want to have an affordable plumbing, heating, and air conditioning company in Chatham, NJ. Rite Rate Heating & Cooling is a licensed and experienced plumbing, air conditioning, and heating company! We offer various plumbing and HVAC services that include installation, replacement, maintenance, and repair. Call us for a free estimate no matter if its sewer cleaning or heating repair! Rite Rate is the most reliable heating company in Chatham, NJ because our heating services are highly affordable and efficient! Whether you need a new boiler installation, hot water heater replacement, or furnace maintenance, or heating repair, you can trust our team to get the job done right. Our heating company services cover boilers, furnaces, and hot water heaters that run on electric, steam, oil, or gas. Rite Rate HVAC contractors are licensed and trained to effectively tackle all problems related to residential or commercial heating systems. 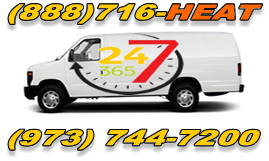 In addition to installations and replacements, we are available 24/7 for emergency heating repair, so call our heating company anytime day or night! Whether you are looking to have a central air conditioner installed or need your old AC replaced, Rite Rate has you covered! We are the most trusted air conditioning company in Chatham, NJ! This is due to our customer satisfaction guarantee and 24-hour emergency AC repair service. Our contractors go above and beyond to ensure that your air conditioner is fully functional. Our air conditioning company can effectively repair, install, replace, and maintain all residential and commercial air conditioners. This includes but is not limited to packaged air, heat pumps, air handlers, ductless air conditioners, and central air conditioning. Call Rite Rate for affordable air conditioning services and request a free quote! For any residential or commercial plumbing solutions, Rite Rate will get the job done. We can handle anything from small repairs to drain and sewer cleaning! We replace, fix, and install faucets, showers, toilets, sump pumps, bathtubs, and sinks. Our highly trained plumbers are also available 24/7 for emergency plumbing repair. Furthermore, we provide affordable plumbing installations, replacements, frozen pipe repair, and water leak detection. Don’t wait to call us if you need plumbing services for your home, office, or business!